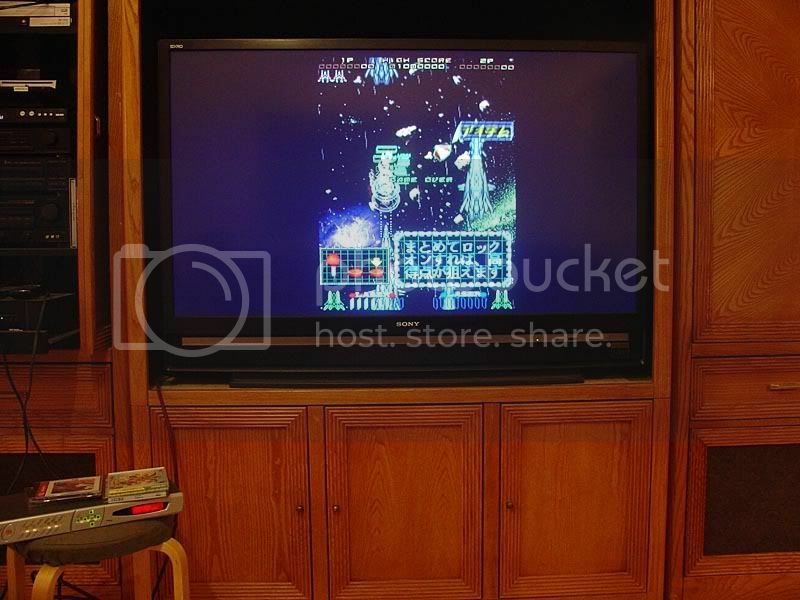 To give a better sense of scale, this TV is capable of a 55" diagonal image and running Yokotate yields a 32" diagonal image, which is larger than the 29" CRT in my Namco Excellena. Quick question for others who have the IA: the unit I got didn't come with a remote, and I was wondering if perhaps someone with the remote and an IR code capturing device could share the codes with me? It's a hassle to make adjustments right up against the television. I had a Image Anyplace a while ago that didn't have a remote. I contacted Flexible Picture Systems (current owners of the brand) and I believe they told me it was $35. I asked for more payment details, but they never responded back. Thanks! I just shot them an email. Bought one recently ($75 ) that's scheduled to arrive tomorrow. Is audio going to be noticeably out of sync if I'm not delaying it somehow? Are there any firmware updates floating around (all I could find was the OoW page for FPS citing a $500 service fee for firmware upgrades and minor repairs)? An RGB transcoder is preferable to a converter, correct? Thanks in advance to whoever helps me out . no, should still be in the undetectable range for most people. don't think so. Various FWs had various features, basically upgrading the system to more expensive systems. Unless you're missing the geometry/rotation controls, you should not worry about it. Good to hear, thank you. Are there any transcoders you'd recommend? I was searching earlier and the cheapest I saw was nearly $90. 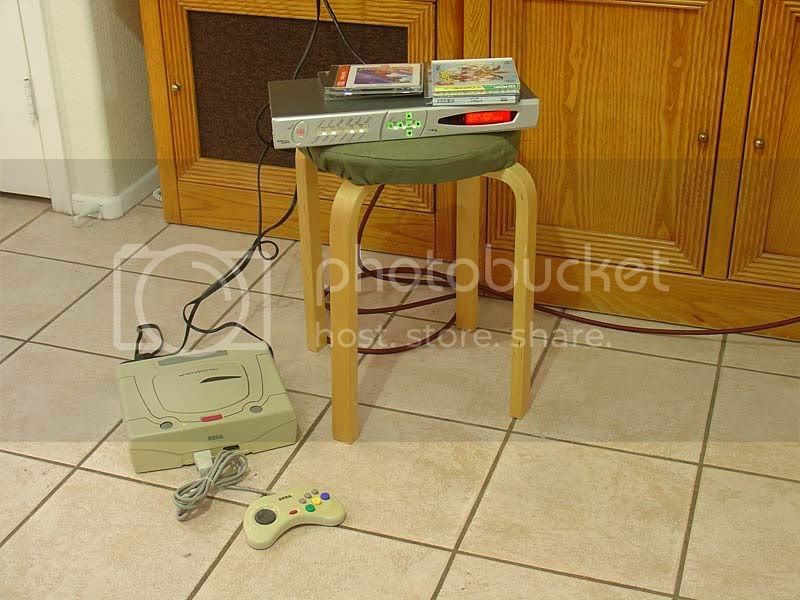 Considering getting these for a Darius setup... image mirroring would solve some of the problems with half-mirror flipped images. There's some kind of tape residue on the top of the unit that I'll need to try and clean . Now I just need a transcoder and I'm good to go. more expensive ones do the job but they're typically over $100. didn't most people make rather good experiences with those CSY-2100 clones all over eBay? You can usually pick up an original CSY-2100 2nd hand quite cheap. Alternatives are the QED version (same model) or something from Kramer. Crenscendo systems works as well and so does the Micomsoft XSelect-D4. Easily gets quite expensive though. What's the difference between a transcoder and a converter? I presume the converter is doing things with the signal that don't need to be done while a transcoder isn't? Sorry if that's a dumb question, Google didn't yield any particularly detailed explanations. basically, yes. But most people call it converter anyway. Is that a launch model 20GB PS3? Please detail the apparently insane lengths you've gone to to keep it running. I've got a 60GB to which I've done no mods, but am terrified to play TLOU on it for fear of killing it. It is, and I bought it as you see it; the previous owner gutted the original fan and replaced it with the one on the right, they also wired the cheapo CM heatsink/fan in, both are running on an ac adapter rather than through the system. I consistently ran it for 6+ hours with no problems before I got my slim, now I only use it for things I need CFW for. As for the environment, it's sitting on stone, airflow is good, there's a large ceiling fan I always have on, and I try to keep my house below 80F. I've thought about removing the heatsink from the CM fan and attaching the fan to the system, so it would actually do something, but I've never gotten around to it. I'd say it's a combination of no unnecessary voltage running through the system and the fan being able to push more air that keeps it running, though not playing in a hot and stuffy environment probably helps too . Fudoh, I picked one up from ebay but mine does NOT have the rotation option. Is there a way to update the firmware or am I SOL here? resolution of the iPad LCD that I am using. There are have been literally a dozen of different versions. Some missing the extended geometry settings which include rotation, others might have been fixed to certain resolutions. Mine was able to output at any resolution - at the user's choice. Shoot me a PM and I'll upload the whole FW package I have for the SOIA. I haven't done anything with it though and I don't know if you'll be able to unlock any additional features. I think to remember that the output resolution and timings are not set in the menu, but with the front buttons instead and on the integrated LCD instead using an OSD. Is the version not specified in the FW filename? Was yours in a blue chassis? I got burned by a eBay purchase with the limited functionality too. Never attempted the firmware flash--would love to hear how it goes. At HDGaming: I poked around the manuals, the blue chassis is (or should be) the OptiScale, the rotate functionality is missing on the feature list. There's a folder with the rotate setup exe though, so it may be possible if you're controlling it through the serial port ? Edit: Successfully updated my firmware to .030 and HD FPGA 7.0.20, thanks again, Fudoh . Maybe you can describe the procedure in more detail? I ordered a FTDI USB to RS232 cable and waiting on that to arrive before I can attempt the firmware upgrade. nice! And indeed, please provide a little more information on which files from the package you used. I'd certainly include the info on my website. Which version were you running before ? Did you have missing features before the update ? I hope this works. On Optoma units that's a no-go. Usually it's better to use a hardware com port, for example a RS232 PCIe card. I used a regular RS232 from the IA to a hardware serial port and followed the instructions that came with the firmware (also located in the PC Loader folder). All of the settings were already configured as the instructions said but it can't hurt to double check. I installed the software in the AP CD 1.7 folder and used the FW/FPGA files in the zip named Firmware_update_v30_10_4_2007.zip as it's the newest in the FW folder. I came from v21 and no features were missing beforehand. The txt file in the zip has a full changelog from the initial release to v30 and it shows the rotate function being added with v11. Edit: FPS got back to me and I was able to access their FTP, the newest update there for the IA-100 was v31. Unfortunately there's no changelog in the zip so what it does is a mystery. I'll jot down all my menu options and the options in setup mode and compare them after I update again. For some reason every firmware after 024 broke the sync on my soia. Took a week of trying different combinations and tech support phone calls. All is good now. Forgot to mention this but, I don't know if you can use the BEX FPGA update on a regular IA, mine is so I went ahead and updated with it. It may be that you just need to update to that to enable the eWarp/edge blending options. Sync issues indeed . I tested SD component (Wii at 480i), the two composite inputs, and the VGA input, component and VGA worked fine, composite had issues. I bounced back to v21 for now, if anyone wants me to run specific tests on specific firmware just let me know and I will (provided I have the hardware ). Thanks for keeping us updated. I actually no longer have the machine, but am curious nonetheless. Got my FTDI cable in and it works! On my PC it was auto-detected by Win 7 x64 and assigned to COM3. updating using the latest firmware obtained from Lord of Pirates. Now indeed there is a rotate option in the geometry menu. Great! Now I just have to replace these noisy 40mm fans. I think the bearings or whatever are going bad.